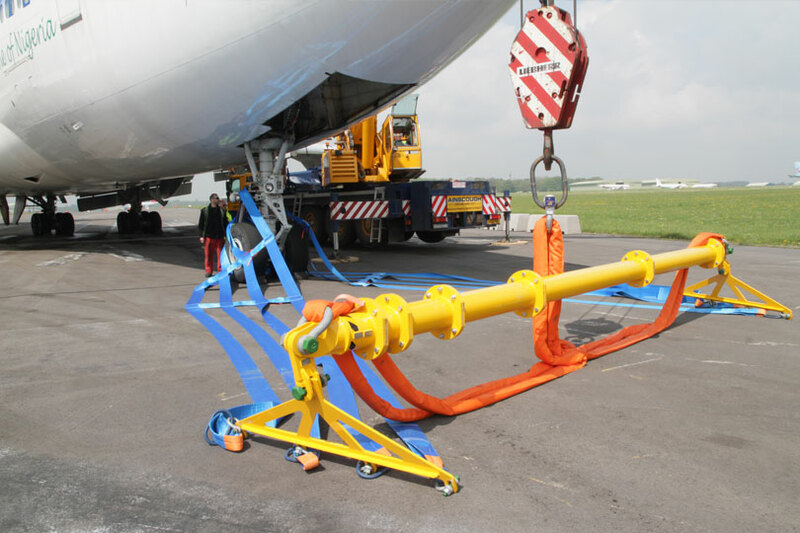 AMS Aircraft Recovery Ltd are a leading innovator in the design, development, manufacture and distribution of aircraft recovery equipment (for lifting and moving aircraft on land). 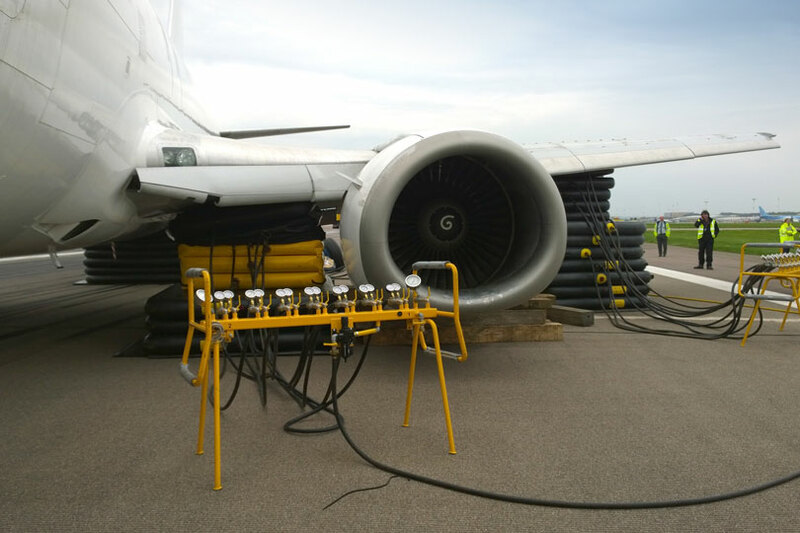 Since 1988, many of the world’s airlines, airport authorities and military air forces have used us as their provider of choice for purchasing equipment and aircraft recovery training (you can see a selection of our customers at the bottom of this page and a more complete list here). The pressure on airports and airfields continues to increase as air travel and the deployment of military air forces expands around the globe. The increase in air traffic proportionately increases the risk of incidents on the ground, on runways and taxiways. 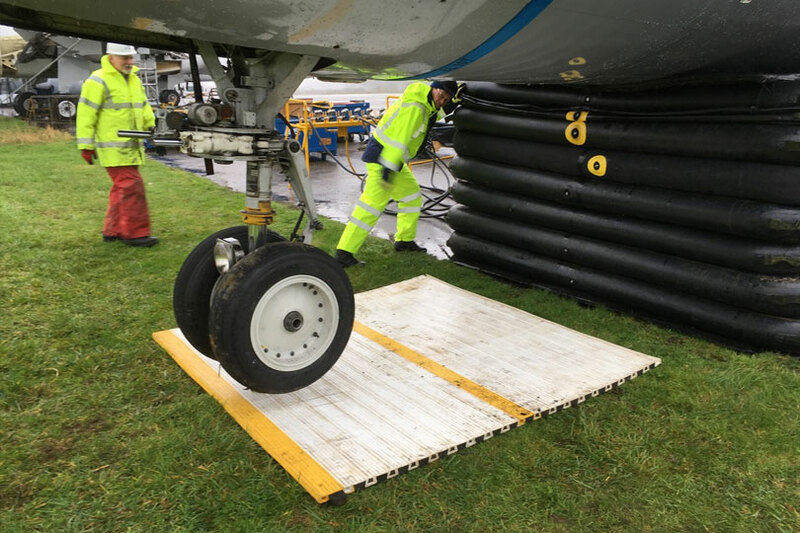 Our aircraft recovery equipment has been developed to ensure aircraft can be recovered safely, with the minimum of delay, in accordance with the appropriate Aircraft Recovery Manual (ARM – Boeing) or Aircraft Recovery Document (ARD – Airbus) to minimise damage to aircraft during recovery. 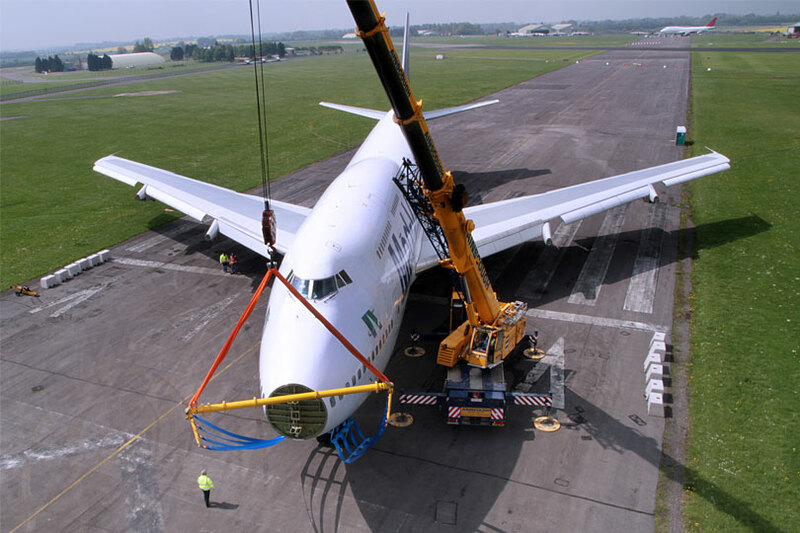 AMS’s extensive range of equipment enables aircraft to be recovered from different terrains and challenging locations. We also manufacture and sell the only turntable capable of handling wide-bodied airliners, up to and including the A380 (customers for this include BA). 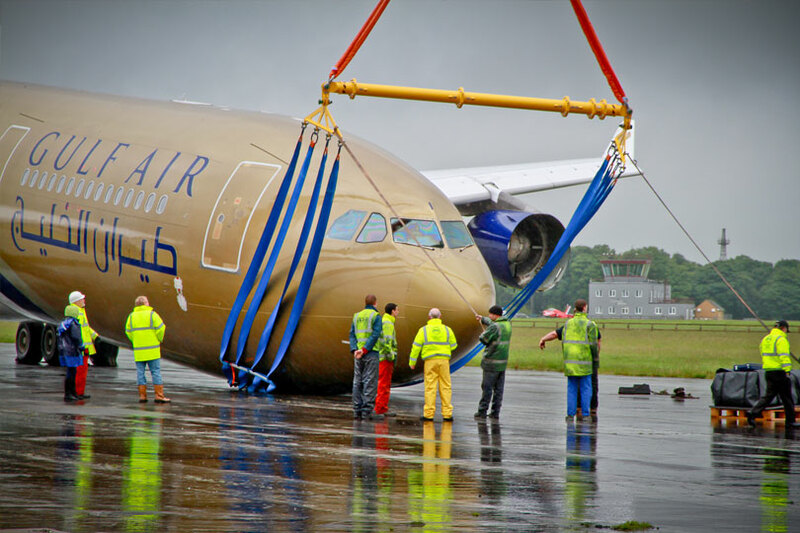 You can view our aircraft lifting equipment on these pages. 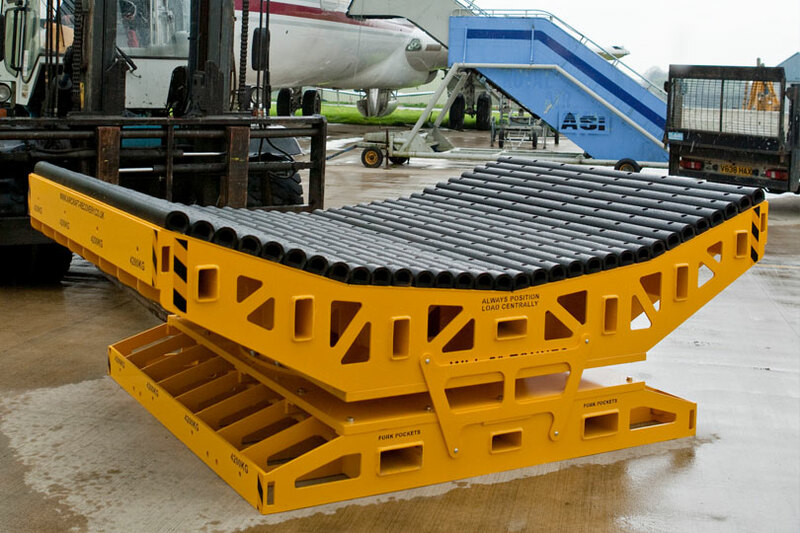 You can view our aircraft moving equipment on these pages. There are videos on each webpage or you can view all AMS’s videos on our You Tube Channel here. 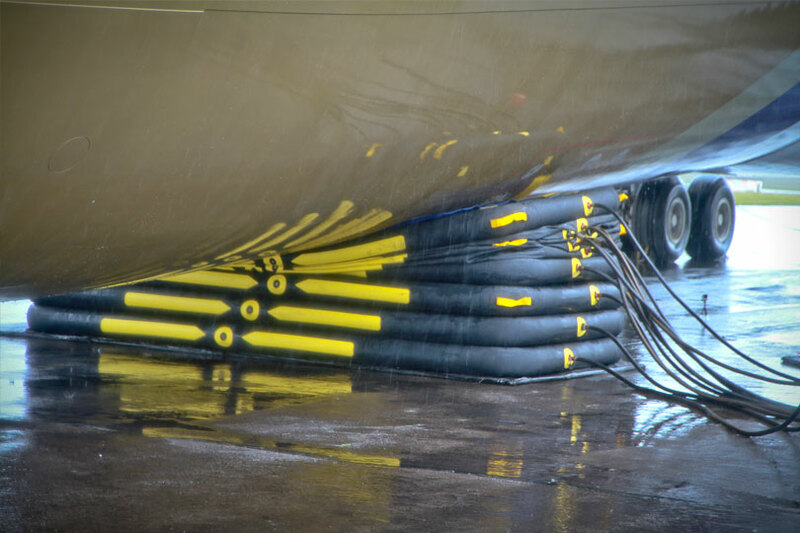 We also provide training on the use of aircraft recovery equipment so customers can deploy AMS equipment themselves. This helps them reduce interruptions to flight schedules, rescue and repair aircraft quickly, and return them to active service as soon as possible. 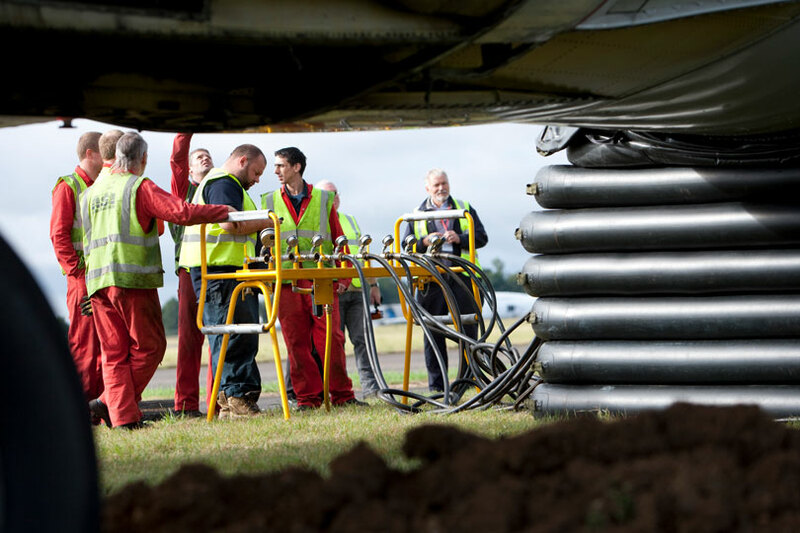 Our courses are internationally recognised for helping aircraft recovery teams, fire crews, insurance assessors, Operations & Emergency Control Centre staff, and aircraft engineers to understand how aircraft should be recovered. Over 1,150 students have been trained to date. Training courses can be held at our dedicated UK facility or at a customer’s preferred location (subject to the availability of suitable AMS equipment and an appropriate venue). UK training includes “hands-on” practical exercises using narrow-body aircraft, such as the B737, A320 or A300. In 2016, we introduced a new option for training in remote locations using SKYPE. You can view details on our Training Courses on these pages, which include videos of the training delegates undertake in the UK. 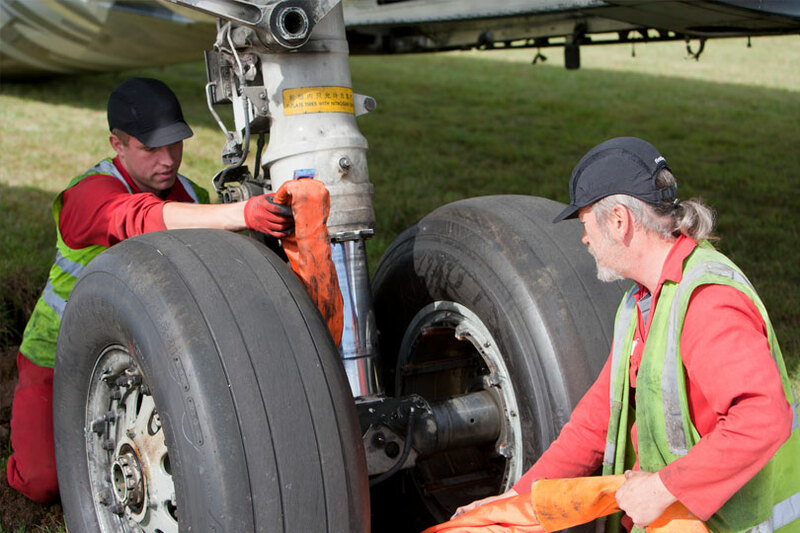 We are an IATA Strategic Partner and regularly present at their annual Aircraft Recovery Task Force Conference, helping to improve the capabilities of aircraft recovery teams, fire crews and operational staff. To discuss AMS equipment options for your company or organisation, or to enquire about AMS Training Courses, please call us on +44 (0)20 3289 9320 or contact us using the form below. We have 20 agents around the globe to assist with your enquiry, and will arrange for the closest representative to contact you as quickly as possible.